We’ve joined the project in the middle of the development process and had to make sure everything will be done in time, and e-commerce web store will start properly. Also, we needed to finish the frontend layout, making it responsive and fast-loading. We’ve assigned a team of professionals to the project, they’ve developed a strong and productive workflow using Agile, JIRA and version control instruments. We keep customizing the web store since the beginning of the development till now, saving the best performance level. 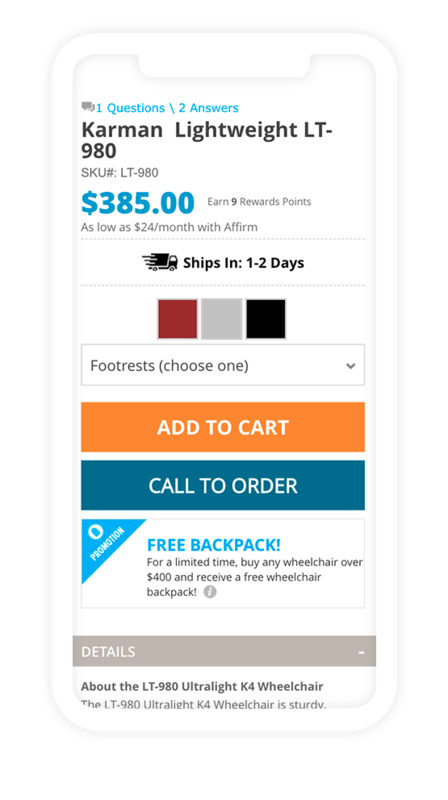 In 2015 MedMartOnline was successfully launched, blasting up offline and online sales. 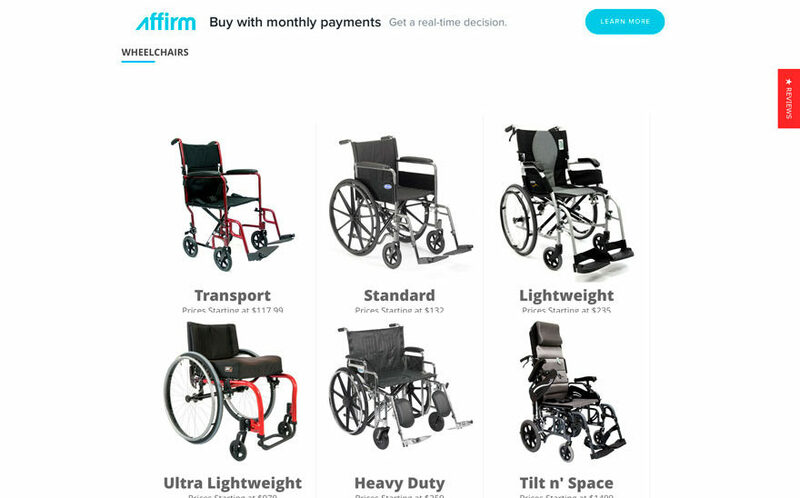 Today MedMart is one the biggest medical supplier in the US market. In 2016 the website became Google Trusted Store. 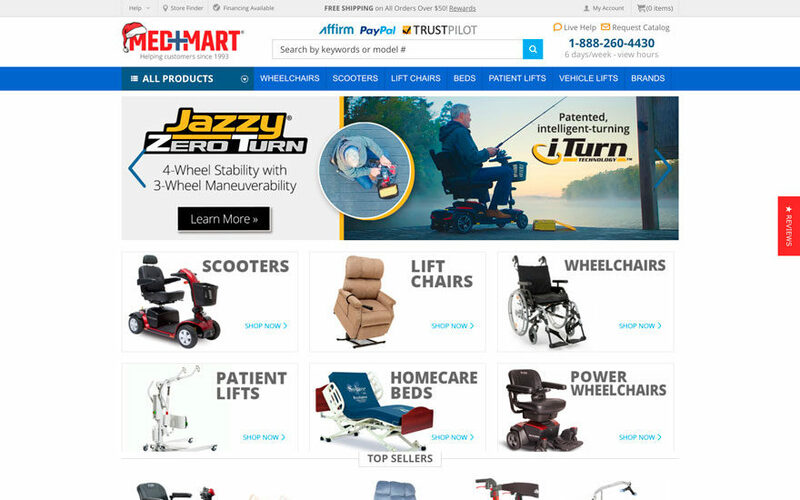 MedMart is complex Magento 1.9 e-commerce web store, highly customized with Newizze-built and 3rd party extension. Magento 1 admin panel is very flexible and allows to provide any instruments that customer need. We’ve been able to provide various admin- and frontend-based solutions. We use Sucuri services for caching and website speed enhancement, using separate domains for static assets, media, and css/js files. Gulp is used for code obfuscation. Mobile-first and DRY concepts help us with keeping layout desings responsive and clean, making a positive impact on performance aswell.